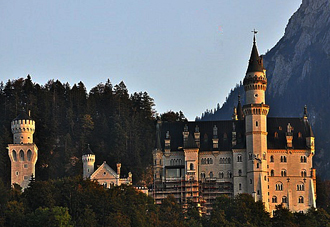 Neuschwanstein Castle is located in the beautiful Bavarian Alps. Most people would recognize it because it is the fairytale castle that inspired Walt Disney in the Cinderella story. It was built by King Ludwig II in 1886, and was original built to be a stage for the infamous composer, Richard Wagner's operas. Unfortunately, Wagner died 3 years before the castle was completed. The castle was still in construction before the unexpected death of the king. 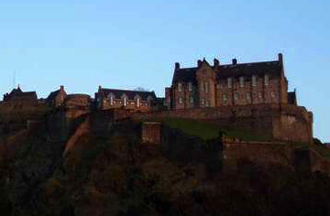 Edinburgh Castle sits atop a giant volcanic rock overlooking downtown Edinburgh. It was used as a royal castle by David I in the 12th century. It continued to be a royal residence until the Union of the Crowns in 1603. Every summer, it is also the site of the ceremony Military Tattoo. Bran Castle is situated between Bucegi and Piatra Craiului Mountains. It was built around 1378 comprising of an exterior wall, donjon, round tower and gate's tower. 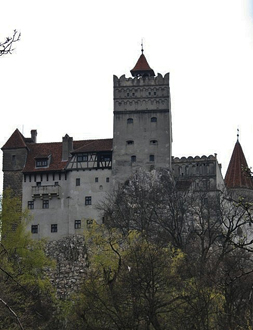 It is best known as the Dracula's Castle due to the legend of Count Dracula vampire. It is one of the most well-known castles in Ireland. 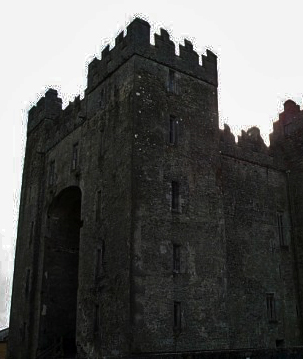 The name Bunratty means "Mouth of the River Raite". The castle was built in the middle of the 15th century by the MacNamara family. It consists of a main building with three floors and two square towers. 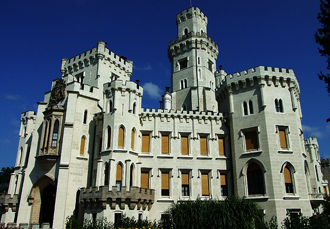 The chateau of Hluboka was original built by the Kings of Bohemia in the mid 13th century. It was rebuilt a few times since then. The latest reconstruction was ordered by Johann Adolf Il von Schwarzenberg in the 19th century. 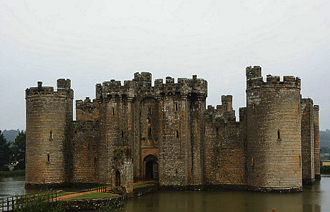 Bodiam Castle is a picturesque castle built in the 14th century by Sir Edward Dalyngrigge. It was built in the current site to defend against a potential French invasion. It is surrounded by a moat that is about 5 ft deep. Most people would recognize it because it was used as the Swamp Castle in the movie Monty Python and the Holy Grail. 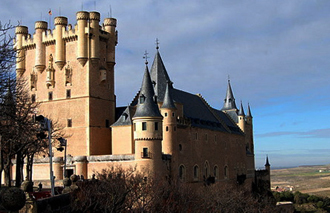 Alcazar of Segovia is a stone castle located in a central Spanish city named Segovia. It sits atop a huge rocky hill overlooking the area. Majority of the castle was constructed between the 13th and 14th century. Unlike the majority of the European castles, the design and decorations of Alcazar reflect both Muslim and Christian influence. 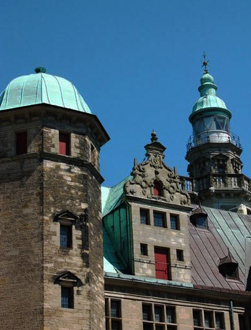 Kronborg Castle is a Renaissance castle located in the town of Helsingor. It is also known as the Hamlet Castle because of Shakespeare's play Hamlet. The castle was built by King Eric VII in the 1420s. It is strategically positioned to protect the gateway to the Batlic Sea. 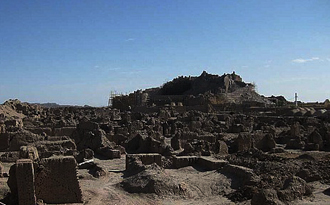 Arg-e Bam Castle is located in the southeastern city of Bam in Iran. It is surrounded by walls 20 ft high and 6,000 ft long. Although more than 80 percent of the Citadel was destroyed in the 2003 Earthquake, most of the Citadel has been restored since. 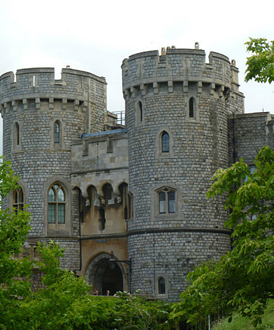 Windsor Castle is located in the Berkshire county. It was built for William the Conqueror around 1080. The Round Tower, along with the outer wall, was later erected for King Henry II. It is now the queen's Royal residence. 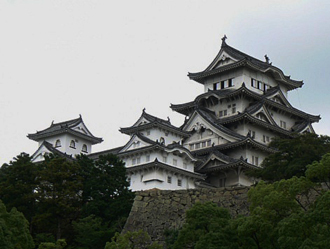 Himeji Castle is a Japanese castle located in Himeji, in Hyogo Prefecture. It was built by Samurai Akamatsu Norimura in 1333. It comprises of 83 buildings and a sophisticated defense network from the feudal period. 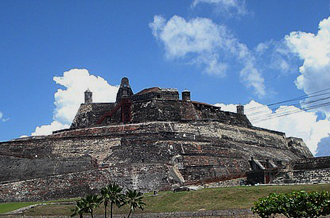 Castillo San Felipe de Barajas is a fortress located on the Hill San Lazaro in Cartagena, Colombia. It was constructed by the Spaniards in 1536 in honour of Philip IV of Spain. Its strategic location allowed it to guard the area and attack any suspicious vessel entering the bay. It is the most formidable defensive complex of Spanish military architecture. Chateau du Plessis-Bourre is situated in Loire Valley in France. It was built by Finance Minister Jean Bourre, an advisor to King Louis XI. 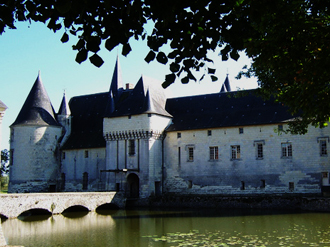 It is a defensive castle that is protected by a broad moat, a double drawbridge and substantial corner towers.